This forecast was published 04/04/2019 at 7:04 AM. 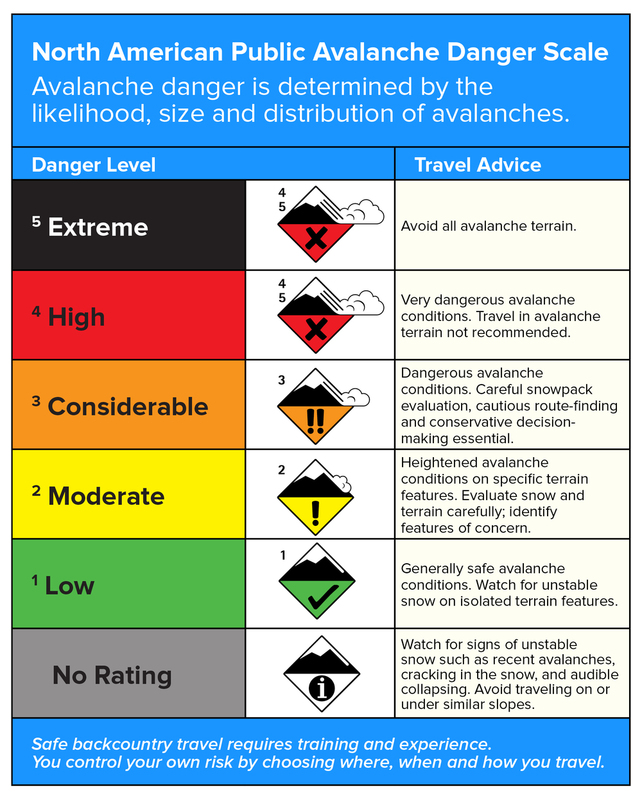 This is an archived avalanche forecast and expired on 04/04/2019 at midnight. 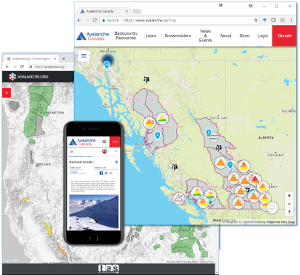 Avalanche problems today are isolated and easy to manage. Wind drifted snow can be found and identified in our forecast area by it’s clean, white appearance, but is unlikely to produce an avalanche. 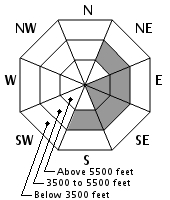 The avalanche danger rating for the Presidential Range today is LOW; generally safe avalanche conditions exist. The potential for long, sliding falls is real and should be on the radar of anyone venturing above treeline. Crampons, an ice axe, and the savvy to use these tools are necessary for safe travel in avalanche terrain today. Yesterday saw summit temperatures decrease from the low 20sF to a current 1F, wind from the west increased and peaked at 90 mph for two hours late in the evening, and 1” of snow produced by 0.13” of liquid precipitation. 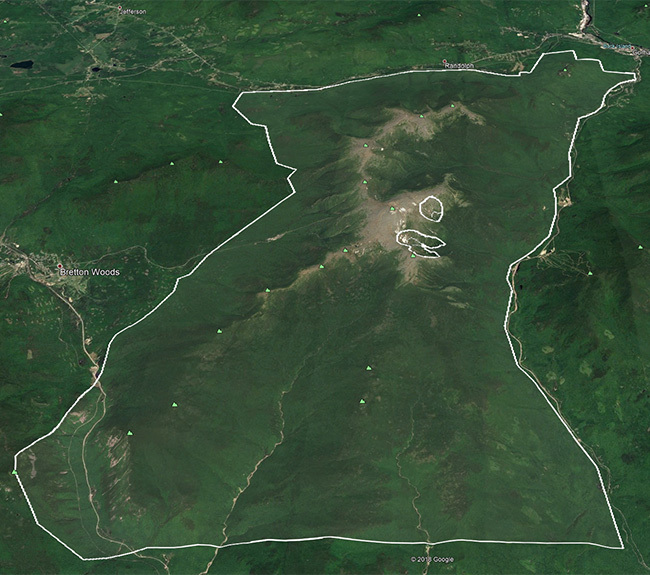 Our snowplots around the Presidential Range all recorded a trace of snowfall. Today, despite skies clearing, wind will remain elevated in the 70-90 mph range with temperatures staying cold. Upslope snow flurries may linger this morning, but these will produce minimal amounts of snow. Temperatures will moderate tomorrow with calming wind before precipitation comes Friday night. Small wind slabs can be found on slopes on the south-east half of the compass, particularly in the lee of terrain features that provide some shelter from strong wind. 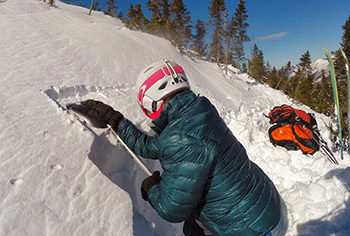 These wind slabs formed over several days each producing less than an inch of snowfall. High wind speeds on Monday and again yesterday afternoon have helped make these unreactive to human triggers despite the fact that they sit on an icy bed surface. The most recent thaw the snowpack in avalanche terrain experienced occurred this past weekend. Mid and upper elevations spent about 30 hours above freezing while elevations below 3500’ saw an even longer period of warming before temperatures dropped quickly overnight on Sunday. The melt/freeze crust created has stabilized our snow into an ideal surface for long sliding falls. Self-arresting on this kind of surface is difficult due to the rapid acceleration that occurs. 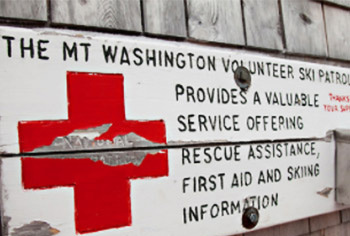 The safest mitigation for this is to avoid taking a fall; put crampons on sooner expected and make purposeful movements. Small amounts of snowfall this week with periods of extreme wind speed have left many slopes scoured with areas of wind slab in the lee of W and NW wind. These wind slabs are easy to identify by the stark contrast of colors when compared next to the melt/freeze crust and easy to avoid due to their largely disconnected nature. Posted 04/04/2019 at 7:04 AM.